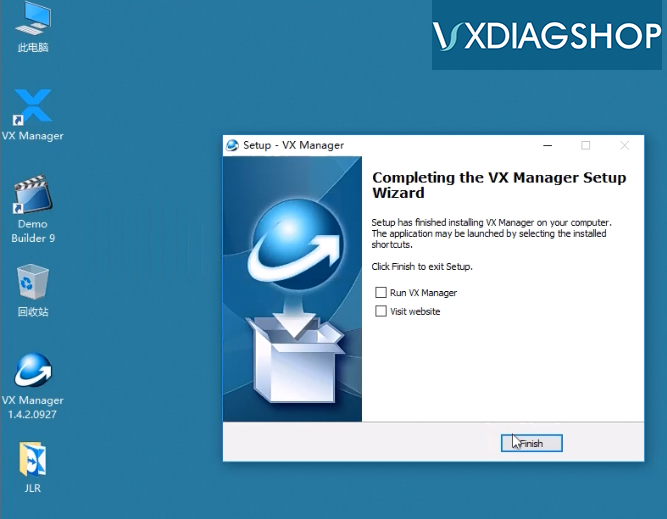 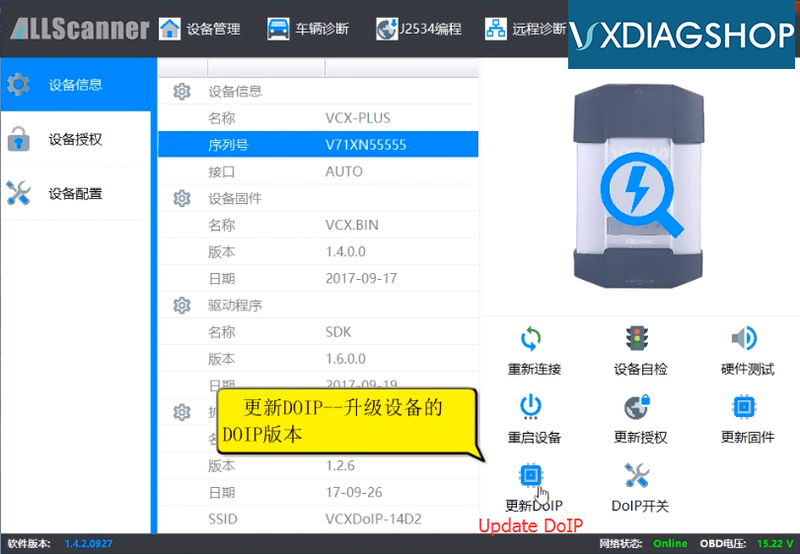 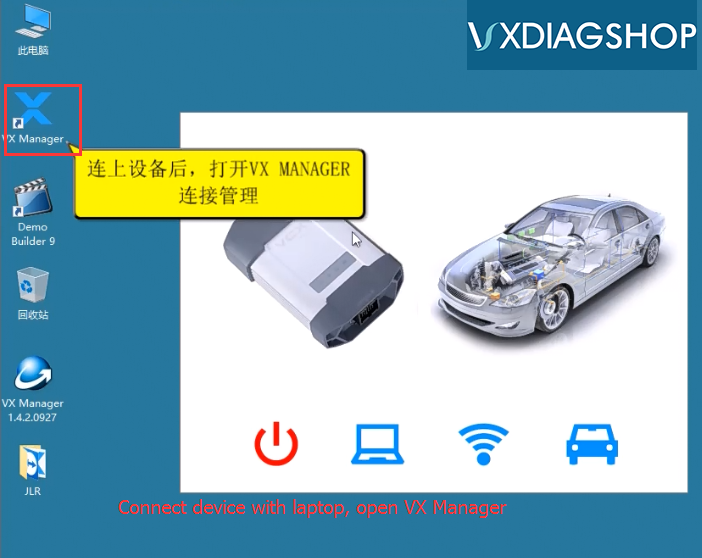 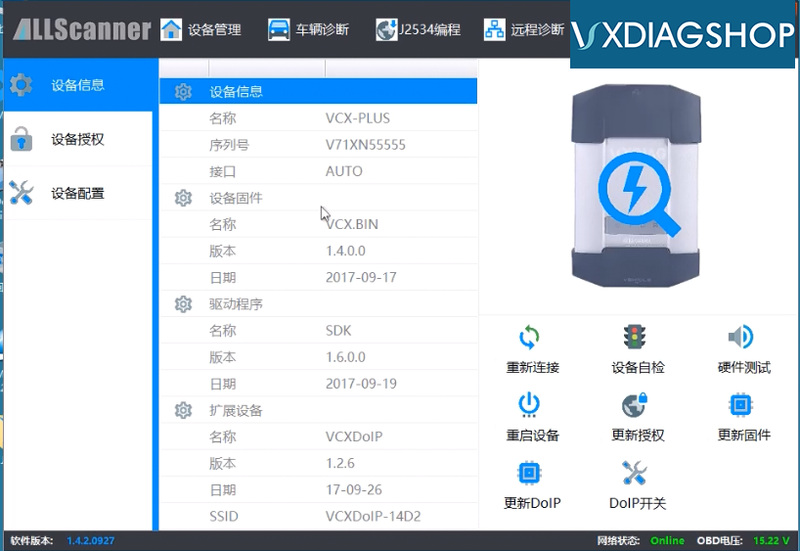 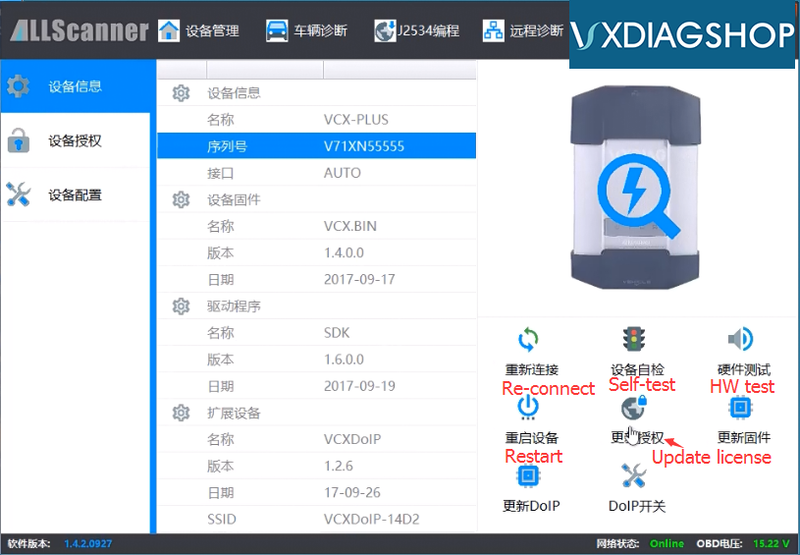 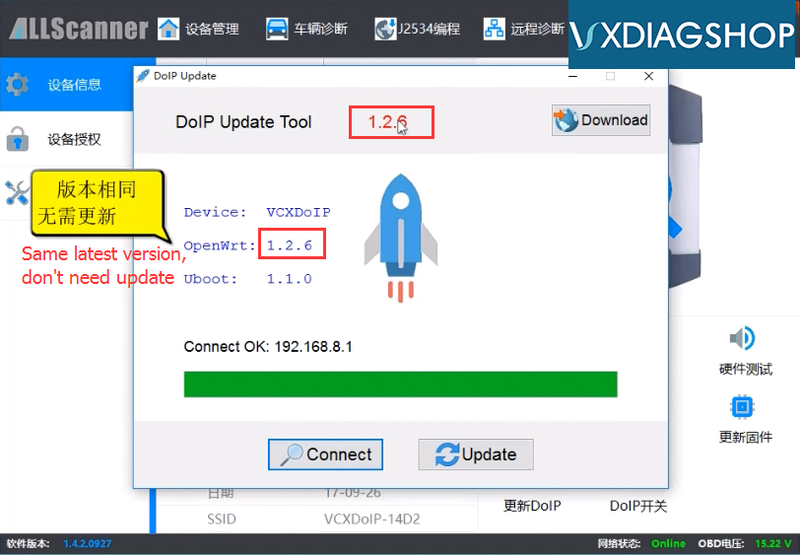 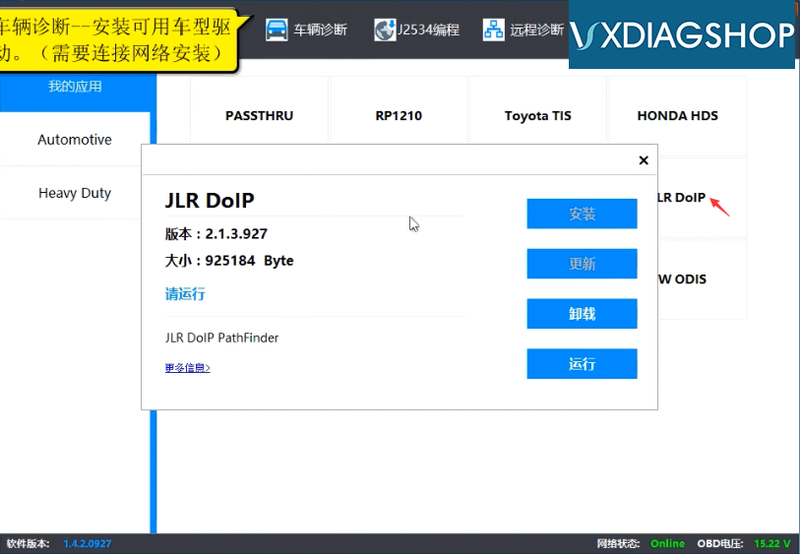 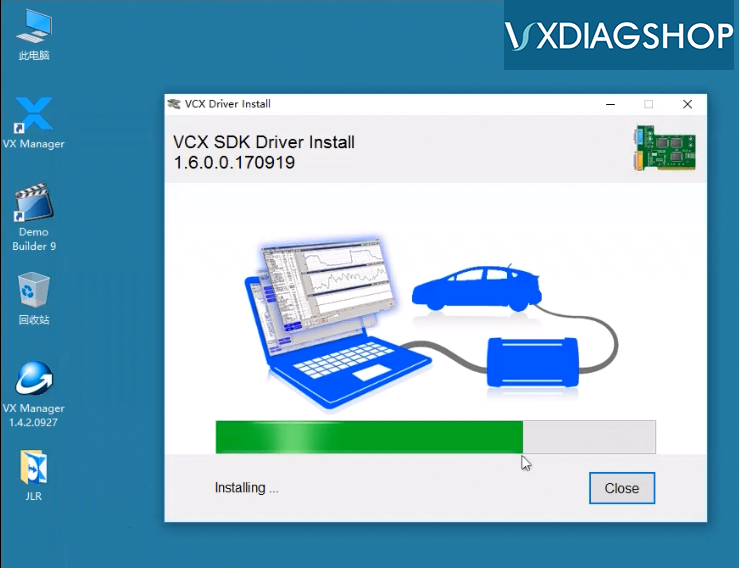 The new version VXDIAG VX Manager adds VCX DoIP options (DoIP update, DoIP firmware update, DoIP switch etc) and auto connection features. 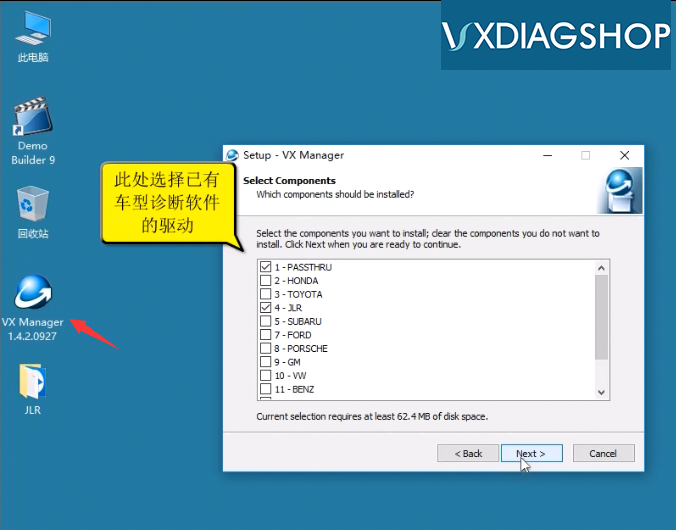 Check detail information below. 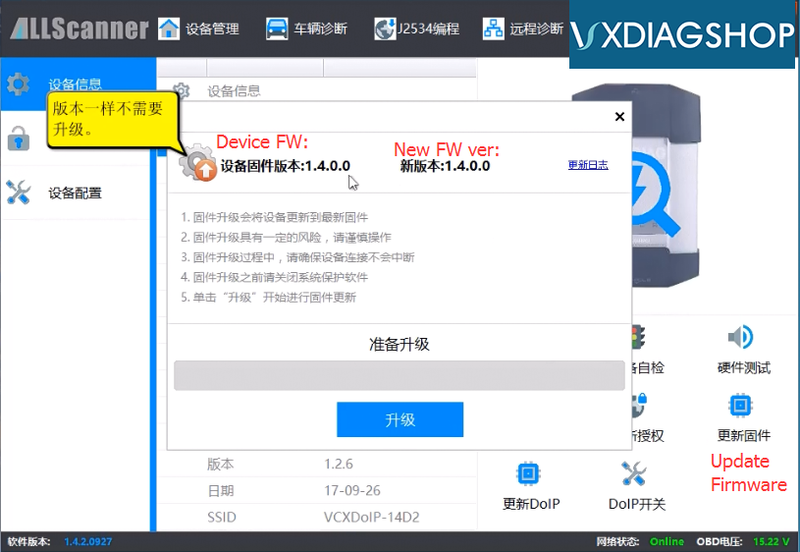 Check device serial number, driver info. 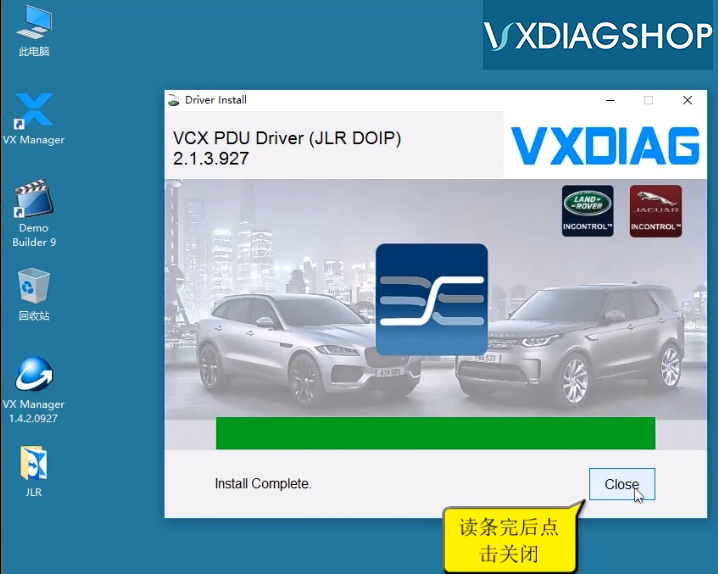 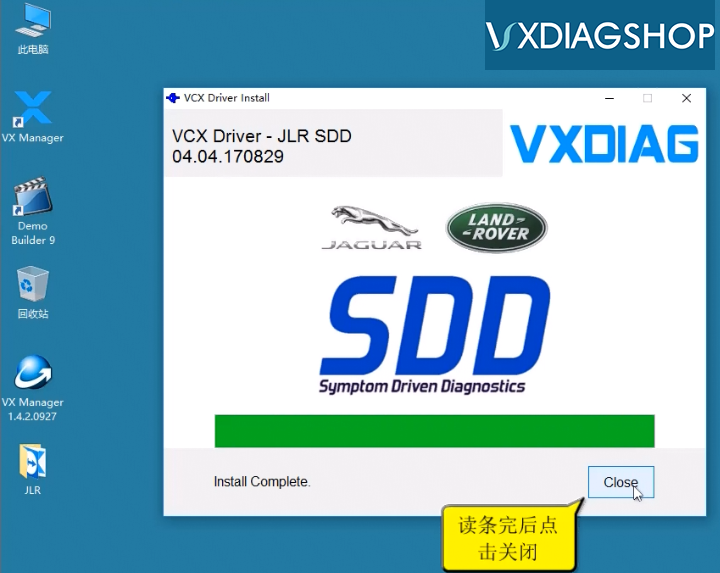 Press “Update License” if you have new software activated by vxdiagshop engineer successfully. 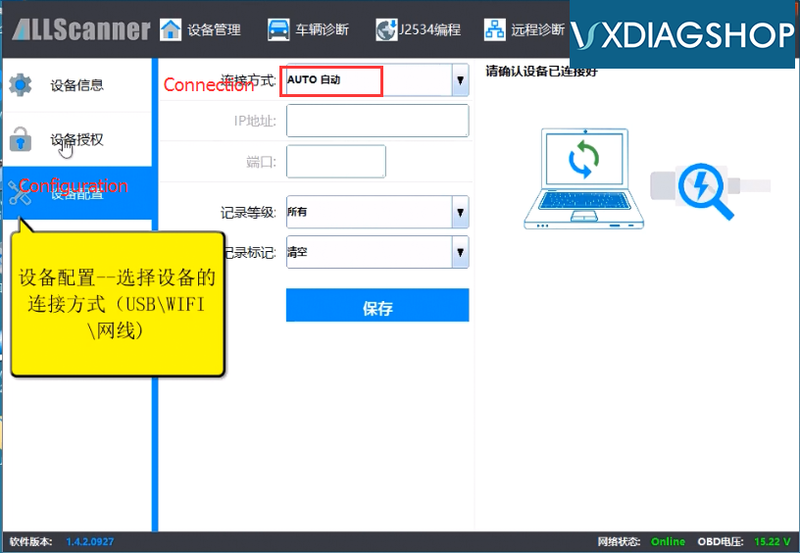 (This function needs internet connection).